Whenever I’m in charge of making a meal for a group I always panic because I’m never sure what I can make that’s fairly easy, but will also feed a lot of people. 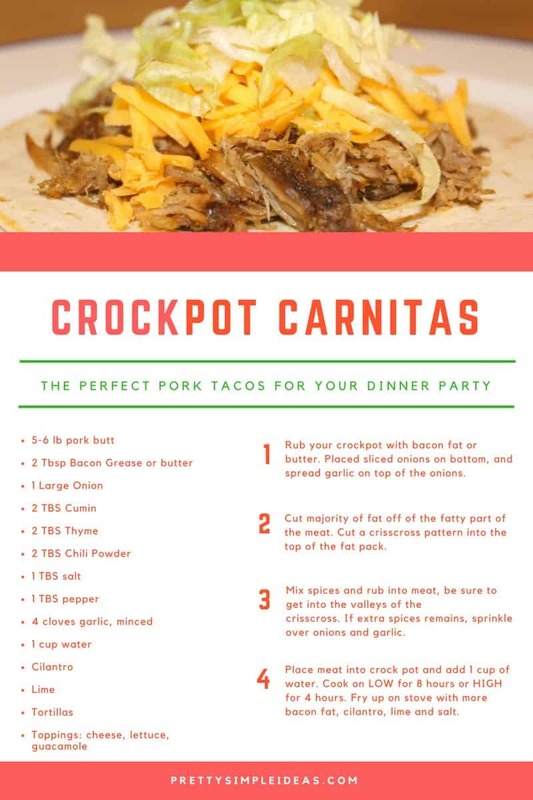 If you’ve ever been in the same predicament this will be your new go to recipe.I like to call them Belinda’s “Crockpot Carnitas” that will feed a large group after my friend who has brought them many times for dinner to our small group. And guys, they are amazing! My husband and I just finished up the leftovers today and they were so good. Oh, and if you LOVE your crock-pot, you will also like this Husband-Approved Crock-pot Chili. Yum. For my fellow introverts who want to improve their hosting skills (I’m mainly looking at myself) this meal will make a great first impression. Cut majority of fat off of the fatty part of the meat. Don’t worry if you’re OCD about cutting fat off. Just get the big chunk off. The rest will cook off in the crockpot and fall apart from the meat. At the end the meat should completely fall apart, if not, cook longer. If you have extra time you could also make this homemade guacamole from my friend Kristen at Shifting Roots. Make sure to follow it up with a yummy dessert such as this Perfect Peach Crumble Pie from my friend Jen at Giggles and Grace. This looks really easy! I dont eat meat but I love making crockpot stuff for my hubby! Good for parties too! Always. Dinner is done when you get home! I am definitely making these. My family will love and they look really easy which I like!! Looks delicious! Nothing better than a big pot of meat to eat on for a couple of days! Oh my! Looks delicious! And I’ve been looking for some more crockpot meals! Thanks!! This sounds delicious! I will definitely give this a try. I love crock pot meals, they always come out delicious and are sooo easy. I have never made carnitas though, cant wait! This looks sooo good. Pinning! Sounds AH-MAY-ZING! Definitely saving this for later! I’m always looking for new recipes but especially ones that will give me time back (alas crock pot cooking)! Can’t wait to try it! Carnitas is my favorite! Can’t wait to try this! Oooo – I’m excited about this one! I’m always looking for an easy recipe to feed a bunch of people! Maybe I’ll bring this the next time we host Bible Study. . . we’ll see. Thanks for the posts! 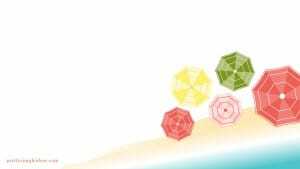 You are so sweet – thank you Lila! Easy, and sounds divine! I would’ve never thought of rubbing the crockpot down with bacon grease – genius! 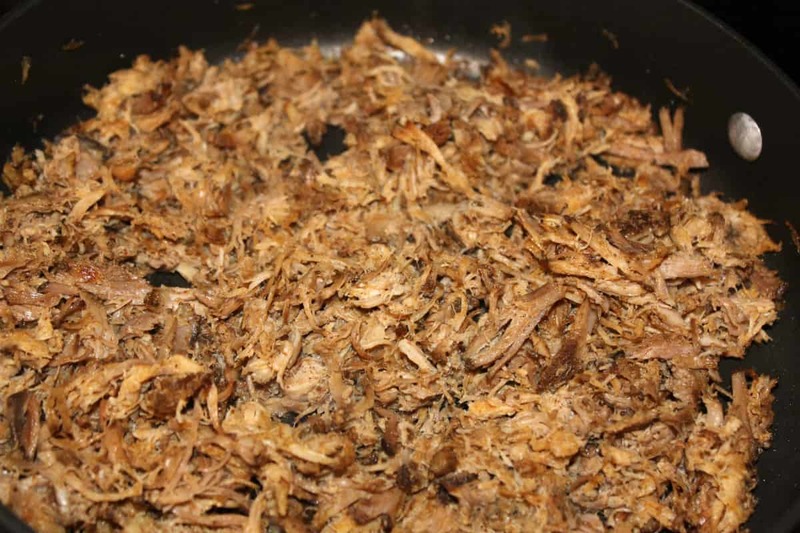 I’ve only ever had carnitas at Chipotle – I love the idea of making them, though! I love easy dinners. This sounds quite yummy! I’ve been wanting to make this for weeks now but for some reason, I’m afraid I’ll somehow mess it up! You make it look so simple and delicious!! I love carnitas! Making the in the crock pot sounds perfect. I also love the fact that I will have extra, so I can freeze it for later. Ooh I didn’t even think about freezing it. This sounds delicious! Your carnitas look perfectly cooked. I would go for this anytime! My crock pot practically lives on my counter. I think I’ve found the next recipe to try – sounds literally soo good! This looks delicious, I always love a good crockpot meal! Wow Sarah this looks SO GOOD! I definitely need to give this a try next time we have friends over for dinner. Thanks for the recipe! I am in love with this recipe! 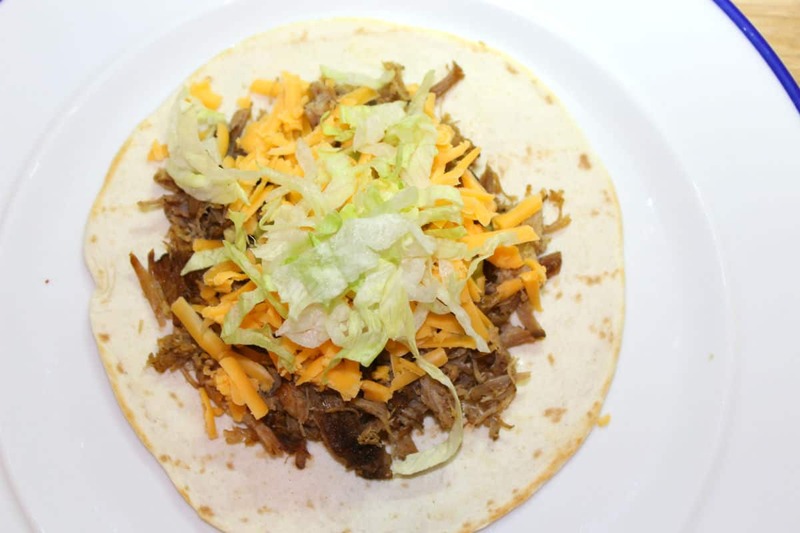 I love carnitas and the slow cooker can make it so much easier! I”m doing this this weekend! Carnitas are my favorite. This looks like my new go-to for dinner parties. I always try to find a crockpot meal so I can sit and focus on the people instead of slaving in the kitchen. Where do you live?? Since it’s 100 degrees in DC it is crazy to think others are going through winter. These look delicious! 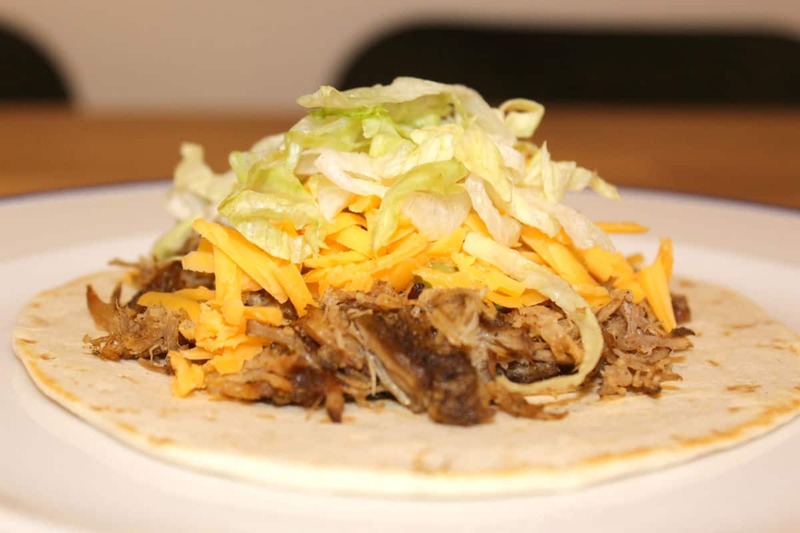 I love pork carnitas and the slow cooker method makes it so easy! I’ve been looking for fun new ways to use my Crockpot. This is it! I’m definitely going to be making these! Pretty sure my boyfriend would go nuts for them. Thank you for sharing! Sounds incredible and I love pork, I also like how simple it is to make and you still end with a delicious meal. Thank you the recipe, scheduled to pin. I didn’t know how much I loved pork until this recipe! These look delish! 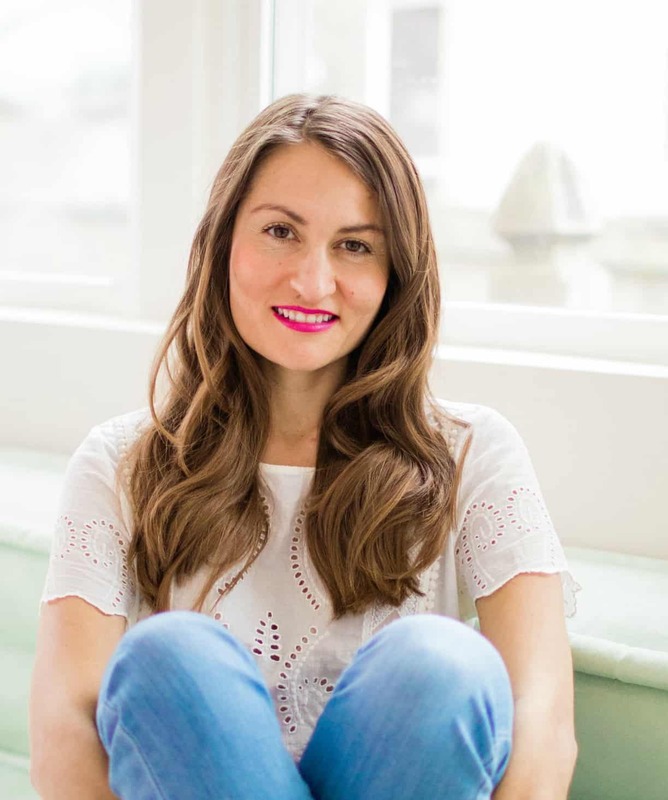 I am always looking for fun, easy recipes to share with my family to get us out of our monotonous eating habits. This looks like an awesome way to do that, and it’s even easier because it’s a crockpot dish! Amanda, I hope your family loves it as much as I do! Love this! Crock pot meals are the best, especially with fall just around the corner. I’m pinning for later! It’s one of the only ways I eat pork, too. These look great! I can always use more simple recipes! I absolutely love making and eating carnitas. Your special crockpot recipe looks so delicious. It’s perfect for feeding a hungry crowd! Looooove carnitas. I had no idea they were so easy to make at home. Cannot wait to try this recipe! We cook a version of these! So yummy! Can’t wait to try this at home. Yum, yum! My husband would absolutely love this. I’m pinning this for later! Missy – I hope you enjoy them! YUM! I loveee carnitas!! I need to make these! Omg Sarah these sound phenomenal!!!! I’m SUCH a carnitas fan, and anything in a crockpot is my cuppa tea. Fabulous recipe!! Thanks, Erica! it’s soooo easy and sooo good! Oh wow I can’t wait to try these! Oh my, that sounds delicious! I’m all about slow cooker recipes at the moment, so I have to try this one out! Sarah, my word! You had me from the very first step. The falls marks the crockpot season for me, so this is great timing. For me, crockpots mean chilly weather, pumpkin spice everything & snuggles. I just love crockpot season, and it’s coming quick. This is a perfect recipe, everyone will love it. Thanks for sharing.